I can't believe that my Triathlon is little more than a month away!! I must admit that I have been quite the slacker this year with my fundraising efforts. Honestly the effort has been non-existent! That's not good at all. If I don't meet my goal I'll be letting down a really good charity not to mention I'll feel crummy about myself, but I also have to think about the example I'm setting for my kids and for my Young Women girls. Especially since I have been trying to teach them about commitment and following through. So I'm gearing up my efforts with a special sale in my Etsy Shop. 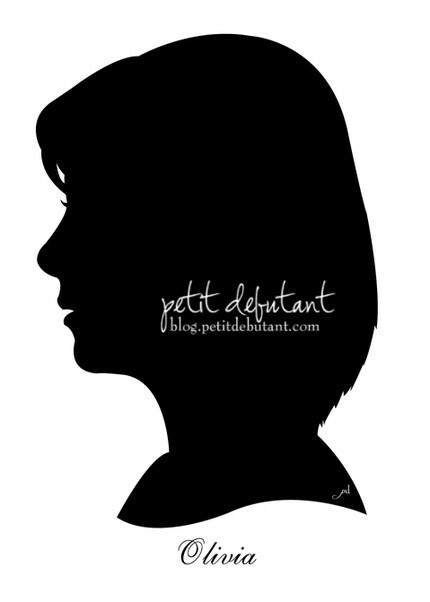 There will be 25 special silhouette listings with the title "Free Digital Portrait Silhouette with Donation to Charity." When you purchase one of these listings and make a $10 (tax deductible! oh yeah!) donation to my fundraising efforts you will get one of my classic portrait ($15 value) silhouettes FREE! So help a girl out and spread the word will ya? Of course you can also make a donation even if you don't want a portrait silhouette! Every little bit helps and will be greatly appreciated, even if it's only $1. Hope Home care for an orphan for an entire day. Life saving medicine to 7 Haitian Earthquake Refugees . 1 days worth of treatment to a child suffering from Tuberculosis. 25,000 Gallons of clean drinking water . 5) "Norma Evans" and "Mach Tenn Triathlon" should be highlighted. 6) Fill out the form to make your desired donation through PayPal. 7) You will get a receipt (tax deductible!) and your name will appear on my fundraising site.